I made this with leftover chicken. I doubled the amount of chicken to make it more of a meal. I felt like it was missing something, so I added some lime juice. It made a tasty and low-fat meal. I had made a few pho broths before, but in this book Nguyen is teaching a master class that ninth-graders can comprehend. 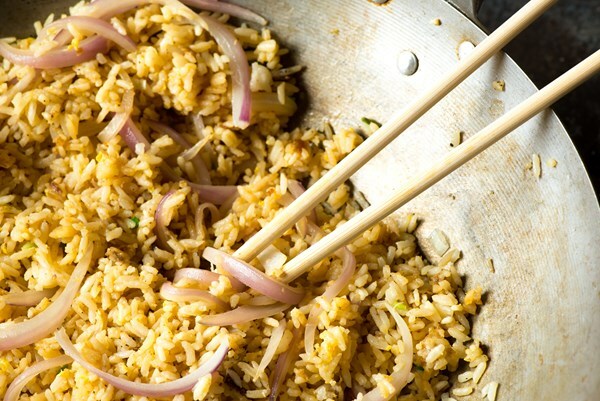 I love how straightforward Andrea’s recipes are, with tips on how to make every sort of pho that I can think of, from vegetarian to chicken to wok-kissed beef. 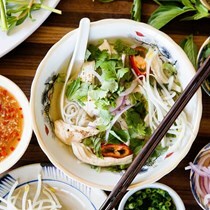 Vietnam’s most beloved, aromatic comfort food—pho—is now within your reach. 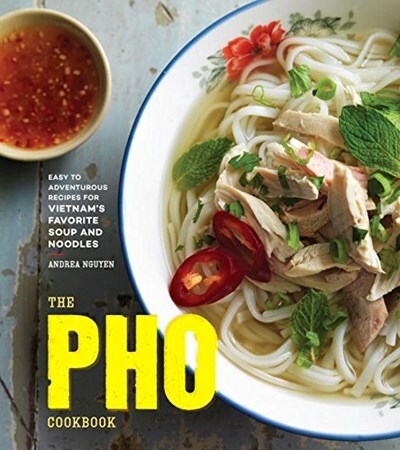 Author Andrea Nguyen first tasted pho in Vietnam as a child, sitting at a Saigon street stall with her parents. That experience sparked a lifelong love of the iconic noodle soup, long before it became a cult food item in the United States. Here Andrea dives deep into pho’s lively past, visiting its birthplace and then teaching you how to successfully make it at home. Options range from quick weeknight cheats to impressive weekend feasts with broth and condiments from scratch, as well as other pho rice noodle favorites. Over fifty versatile recipes, including snacks, salads, companion dishes, and vegetarian and gluten-free options, welcome everyone to the pho table.